Happy Monday, friends! Time for a getting cozy post to start the week. I don't know about where you are but here on the east coast the weather is turning the dial down so let's turn the warmth up with these great picks and pieces. Yes, the snuggle is real. 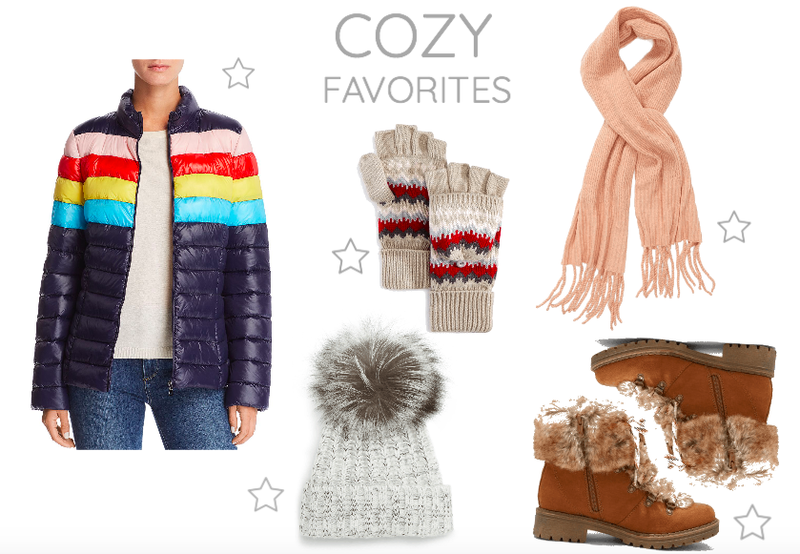 From soft sweaters to silky ski coats, these are some of my favorite ways to keep warm right now. 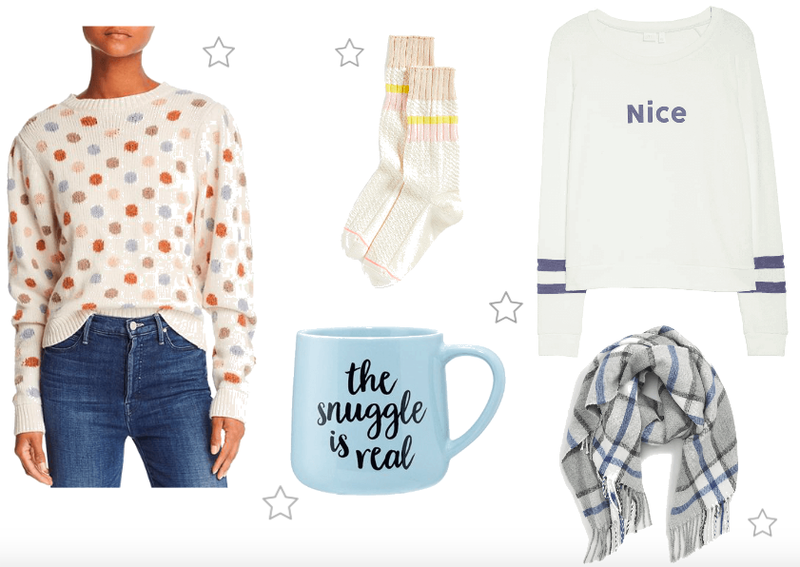 For all the snuggly details click on the thumbnails below. Hope you're keeping your cocoa mug full and heart happy...Cheers!